Thanks to Mezzetta for sponsoring today’s discussion. 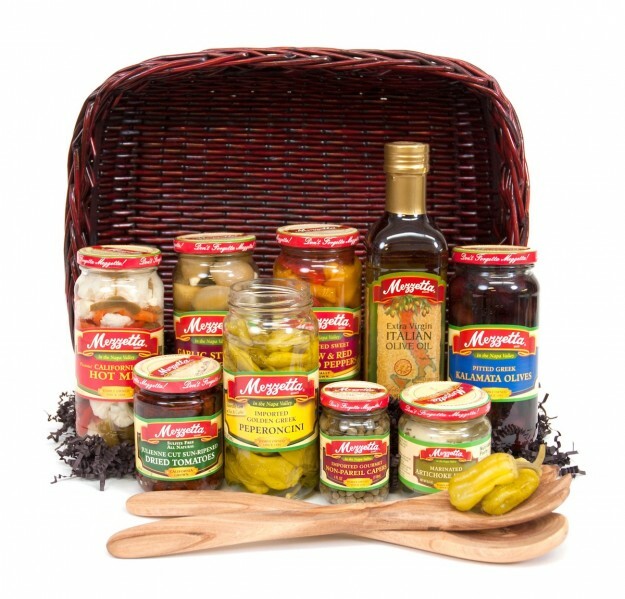 Be sure to enter the Daily Gift Basket Giveaway with Mezzetta. When you have a large family and try to make plans, there’s one thing you can typically count on and that is that there’s going to be a snag somewhere. For that reason our family pretty much just goes with the flow and celebrates the holidays in the way it works out for us on that particular holiday. We do have a few traditions that we try to carry out each year. One of those traditions is going to our cities courthouse lighting on the evening after Thanksgiving. Our town has a beautiful, old, huge courthouse and it’s beautifully decorated and lit every year. Another tradition that we have had since my children were very small and we continued even after Joe and I married is giving the kids a gift every Christmas Eve which consisted of new pajamas. It’s really pretty simple and may even seem silly since they obviously know what it is but they have always seemed to really enjoy it and I love seeing them all in new pajamas on Christmas morning. The third tradition was born somewhat out of necessity but not entirely. We typically have appetizers for dinner on Christmas Eve. It’s an easy dinner and everyone can just grab what they want and eat as much as they want. Since it’s easy it gives us more time to get busy wrapping presents. Christmas Eve in our home has always been a sleepless night of wrapping gifts before the kids wake up. When they were little it was because they believed in Santa and then as they got older it’s because we didn’t want them sneaking and peaking at what they got before Christmas morning. Now that they are all grown and mostly on their own, except for Robbie, it may be the first year in many that Joe and I can actually wrap the presents ahead of time and be well rested on Christmas morning. I don’t see us changing our Christmas Eve tradition of having appetizers for dinner though because honestly we enjoy having tapas for dinner and do so often. 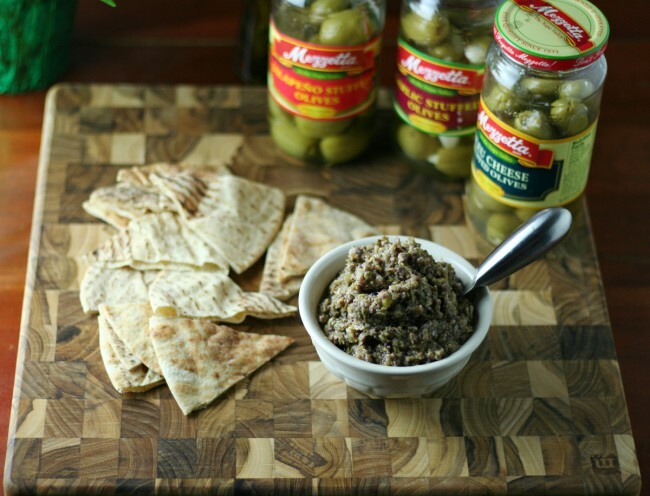 This year we will be adding a new appetizer to the menu, Tapenade. Mezzetta helped to take this appetizer to another level! I was so excited at all of the varieties of olives they offer. You could definitely change this up to suit your families tastes. If you would like to create some of your own #MezzettaMemories make sure you download a coupon for .50 off of your next Mezzetta product to take to the store with you. It’s super easy to prepare but don’t let that fool you because the flavor is out of this world! It’s also low-carb which is a bonus. Serve it with a low-carb pita and you can indulge without feeling guilty. Place all ingredients in a food processor or mini chopper. Process until all ingredients are well combined and is the consistency of a coarse paste. You may need to stop once or twice to scrape the sides of the bowl with a spatula. Cut low-carb pita bread into triangles and serve with tapenade. You can also serve with a crusty bread for those not watching carbs.